The introduction of H RES 673 ([i]) seems to have flustered the Egyptian government and sent them scrambling to issue a response. Since the resolution was introduced by Congress, the Egyptian government has taken to insulting, belittling, and personally vilifying ([ii]) members of the US Congress and Coptic Solidarity ceaselessly. An Egyptian government public relations official, having neglected to do even the most basic research into the issue, has attempted to mislead the public by claiming that the objective of the resolution is to “punish” Egypt for its “heroic role” in opposing the announcement of moving the US Embassy to Jerusalem. Egyptian media have been reiterating the assertion ever since, without verifying these claims. Unlike the Egyptian parliament, the US Congress does not take orders from the President to condemn or issue resolutions on topics of personal interest to the President. The dates and timing of the Jerusalem announcement, and the introduction of the resolution, show that both issues are completely unrelated. Then, Mr. Tariq Radwan, Chairman of the International Relations Commission of the Egyptian Parliament, announced that the Egyptian Parliament would hold a press conference to disclose the details of a memo that has been prepared in reply to the “allegations” of the US Congressional resolution! 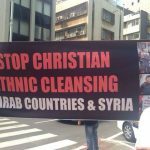 Denial continues to be the position of the Egyptian authorities when the issue of discrimination and persecution of the Egyptian-Christian (Copts) is raised. Rhetorically refers to absurd historical myths about how well Copts been “treated” ever since the Arab invasion, to avoid talking substantively about the present. This tactic further fails to hide that Copts are being viewed and treated as “dhimmis” who may (or may not!) be protected or well treated. Enumerates some gestures by president El-Sisi towards Copts, which are inherent to his duties as president. Furthermore, they would be truly appreciated if they went beyond the sentimental, and were translated into specific actions to emphasize the Copts’ citizenship rights. The issues of discrimination and persecution cannot be addressed until the problem is actually acknowledged. Sadly, the only problem that the Egyptian government and the various institutions (including the parliament) appear to be concerned with is what they term a “Tarnishing the Reputation of Egypt” by human rights activists. Until the Egyptian government is willing to stop its current strategy of denial and obfuscation, and admit to the root problems, little can be done. Instead they use their energy and resources to conceal and silence the voice of anyone who dares to speak out or advocate for equality and human rights for Copts in Egypt. What is the government census of Copts? Why is the number of Copts kept as a “secret”? Bearing in mind that the national Civil Status Administration has records of all citizens (born after 1900), of which “religion” is a mandatory element, why does the government deny that they know how many Copts there are in Egypt even though a quick and simple database query could reveal this number? In absence of any other established information, we will assume the percentage of Christians among the Egyptian population to be at least 12%. Would the Egyptian state challenge that? 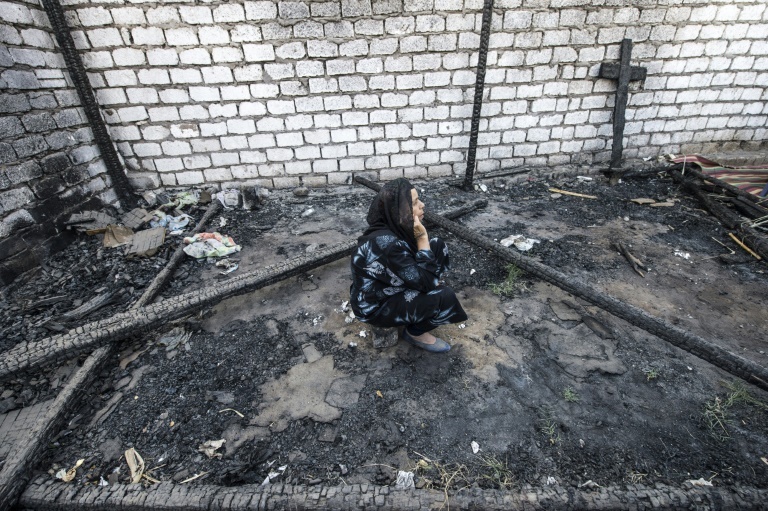 Of the 500 plus assaults on the Copts over the past 5 years, how many have been brought to justice? What sentences have been handed down? Of the several dozens robberies and assaults on Coptic owned business, pharmacies, jewelers, etc., how many have been brought to justice? Why has no one been indicted for the scandal of attacking and stripping Souaad Kamel ([iv]), an elderly lady, and parading her naked in the streets of the village, while simultaneously burning of 8 homes belonging to Christians scattered through out the village; this is despite the several witnesses, and video recordings? Is the government not capable of ensuring law and order let alone justice for its citizens who are Christians? 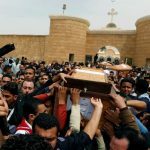 Whenever fanaticized mobs attack Copts (often with the complicity of the “National Security” department) for no reason, authorities hold “Reconciliation Meetings” to force the victims to forfeit their rights and submit to the tyrannical ruling of the fanatics, emboldened by the authorities. Why do the authorities hold such meetings, often followed by forced relocation of innocent families ([v]), while fully knowing they are against law and justice? When will the attacks on churches such as the Two Saints (Alexandria, 2011 New Year eve), or the massacre of Maspero (Oct. 10, 2011) and many others be honestly investigated, and justice rendered? Of the 33 ministers in the Egyptian government, there is (since Sept 2015) only one junior Coptic minister, who is without a portfolio or a real job. Is that because there are no qualified Copts in Egypt? Of the 27 appointed governors and 4 deputy governors, there is not a single Copt. Why? Of the 596 members of the current parliament, there are 39 Copts (including 24 on restricted electoral lists, 12 elected individually, and 3 appointed). That represents barely 6% and is linked to the Constitutional provision (Art. 244) of temporary measures to favor certain groups (women, Copts, farmers and workers) to be elected on restricted lists, for ONE term only ending in 2020. What measures are being taken to ensure fair representation of Copts (and women) in future parliaments? The current parliament has 24 commissions. There is not a single Copt as Chairperson, while there are only 3 Copts out of 72 Deputy Chairpersons. Another observation: There are no Copts in the “Defense and National Security” Commission. How do you explain these facts except by deliberate exclusion and alienation of Copts? Why do Coptic students who have scored top grades in the anonymous High School Diploma exams become surprisingly “too dumb” to be top students during the years of college, leading to (the desired) outcome of having fewer Copts in academic positions than expected? In the public universities in governorates of Assiut and Minya, Coptic students represent 25-30% of the total, yet the percentage of Copts among the teaching faculty (lecturers up to professors) is below 5%. How do you explain that if it is not flagrant and pre-meditated policy of discrimination? Why are Coptic medical graduates prohibited from specializing in gynecology? Of the 69 football clubs, with over two thousand players in the Premier League, 2nd and 3rd division, how many football players are Copts? What actions are taken to investigate numerous complaints by Coptic athletes of being banned from joining sports’ teams in most clubs? Why does the government think it has the right to know a citizen’s religion (or if they practice no religion)? Why is the religious affiliation a requirement on national ID cards and on all official and private application forms, commercial contracts, notarized acts and even club membership forms? If the religious affiliation can be instantly changed by the authorities in case of conversion “to” Islam, is it possible to change in case someone wants to convert “from” Islam to another religion? (Suggested answer: NEVER). Over 50 cases of “Derision of Religion” were handled by the courts in the past 4 years. How many of these concerned Christianity, even though it is attacked on a daily basis in mosques and even some talk shows? (Suggested answer: ONE). Why are there dozens of Copts still in prison on fabricated charges of “blasphemy,” ([viii]) sometimes for things as trivial as a Facebook ‘like’, while hate-mongers like Sheikh Salem Abdel Galil remain free? Of the dozens of Imams who publicly incite hatred and violence against Christians, how many have been brought to justice? Why have the recommendations by the “Oteify” commission (1972!) to implement many actions to alleviate “sectarian strife,” including a unified law for Mosques and Churches ([ix]), never been implemented? If the new church law is of any value ([x]), why are there over 250 churches ([xi]) still currently closed by orders of the “National Security” Department? If there is any pretense of freedom of religion in Egypt, why is it a crime for Copts to pray in their own homes without obtaining a “permit”? Why has the curriculum of Al-Azhar schools and universities that teaches hatred and incites violence against Christians largely remained the same (apart from some minor cosmetic changes)? What is the suggested process for re-educating students taught this type of ideology? If Egyptian tax payers are treated equally, why does tax collected from Egyptian Christians go toward funding Al-Azhar (whose budget in 2017 was 12.3 billion pounds, vs. 2.8 billion for Cairo University), and offering hundreds of thousands of foreign students scholarships to come to Egypt to study Islam, while no funding whatsoever goes toward any Christian educational institutions? Al-Azhar expanded its role from teaching Islamic studies to a complete portfolio of colleges teaching medicine, engineering, dentistry, etc., making it one of the top 10 largest universities in the world, with half a million students in 87 faculties. Why are Christian students not allowed to study at Al-Azhar’s non-religious faculties? Why has Al-Azhar been allowed to create a mammoth, state funded, parallel educational system, from Kindergarten to high school (similar to the “Madrassa” of Afghanistan and Pakistan), which covers every town and village in Egypt, and enrolls almost 2.1 million students? Why are holders of Al-Azhar high school diplomas allowed to enroll in all police and military academies, knowing that they would most likely become religiously – rather than patriotically – motivated officers who naturally despise non-Muslim colleagues or citizens? Why does the official curriculum of the ministry of education ignore 700 years of the Coptic-era history, while glorifying invading “heroes” for having slaughtered thousands of Christians in Egypt and North Africa? Why does the official curriculum of the Arabic language ([xii]) include topics and texts that instill hatred of people of other faiths, entice violence, foster a sense of “Islamic supremacy” and force non-Muslim students to learn and submit to Islamic percepts that denigrate their own faith? When will the “Coptic Issue” stop being treated as a mere “dossier” in the hands of “National Security,” and become a high priority citizenship issue by the president? Last but not least: Egypt’s Constitution stipulates (Art 53): “Discrimination and incitement to hate are punishable by law. The State is obliged to take the necessary measures to eliminate all forms of discrimination. The law regulates the establishment of an independent commission for this purpose.” When will the state take this constitutional obligation seriously? And when will the independent Anti -Discrimination Commission be created? These are simple questions, among others, that require simple answers. All we ask for is the truth from the Egyptian government and Egyptian parliament. In the face of undeniable facts, the continued denial of Coptic persecution is simply absurd.